Director Takeshi Miike has directed many films, some great some bad, but Blade of the Immortal is his 100th movie and this time he revisits the Samurai genre but with a fantasy slant. 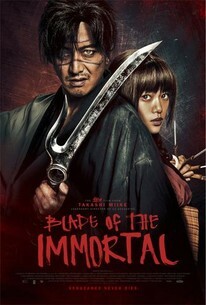 Cursed with immortality, a skilled samurai in feudal Japan promises to help a young woman avenge the death of her parents. 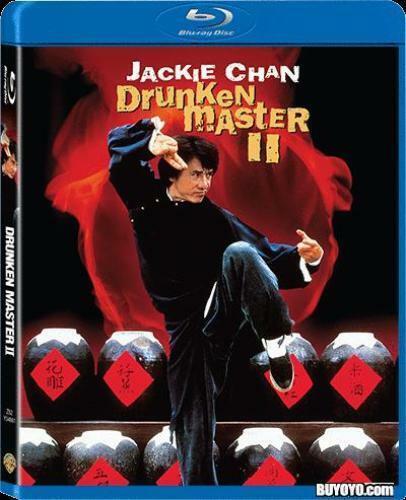 Their mission leads them into a bloody battle with a ruthless warrior and his band of master swordsmen. The film starts in stark black and white and shows the samurai Manji in an epic battle, which ultimately leads to the violent death of his sister. Having suffered mortal injuries and lying in a battlefield full of bodies he is rescued by a lady sorcerer who stuffs sacred worms into his wounds which heal him and make him immortal (It is not explained why she does this). This curse of living forever haunts him but he soon gets a purpose in life when a young girl named Rin, who looks very much like his late sister, asks for his help in avenging the death of her family. They both set out on the quest and find themselves battling even more outrageous and bizarre enemies until the final battle results in what looks like an impossible trap to escape from. You always expect Takeshi Miike’s films to be slightly bonkers and this does not disappoint in that respect. 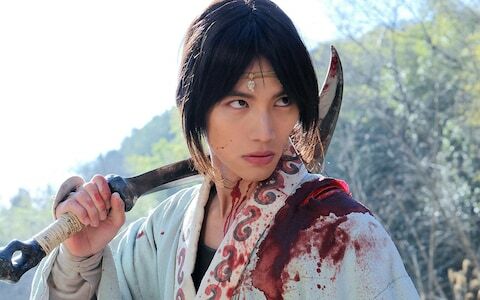 The hero Manji, very well played by actor Hana Sugisaki is a fighter, but not a brilliant swordsman but because he knows he cannot die, goes into each battle with relish and an almost carefree attitude. Good performances from the other cast help, especially the young girl, but ultimately the film is too long and after so many relentless bloody battles it becomes tiresome. 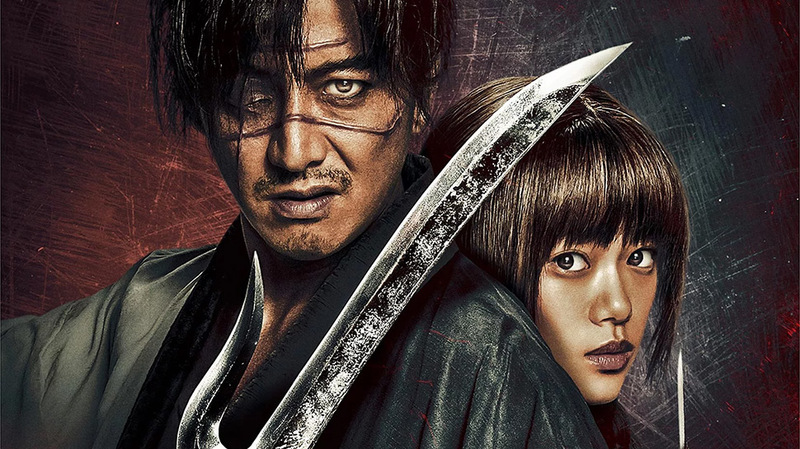 The action is well choreographed but a bit sloppy in places and at times it’s hard to see what is going on amongst all the blade slicing and dicing. Some have called it a Japanese version of Marvel Comic’s Wolverine and you can definitely see why. There are some humorous moments along the 2 hours twenty-minute running time and the blood-soaked frenzied action will keep you entertained, but to me, the film, adapted from Hiroaki Samura’s manga of the same name, is just too long and disjointed to be considered a classic.